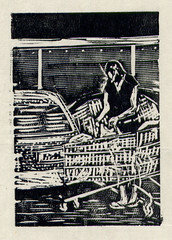 5 x 3.5cm, Wood Engraving, 2007. 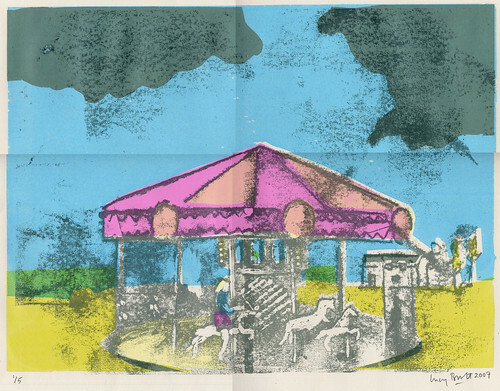 Wyards Print and Art Works Ltd. I did a day-long course in wood engraving with Anne Desmet at Wyards Print and Art Works in Faversham, Kent on 18 August 2007 – a high speed introduction to the world of end-grain woodblocks (boxwood, lemonwood and pear), specialist engraving tools (lozenge graver, spitsticker, scorper, tint and multiple tools), leather sandbag, japanese papers (gampi and kozu-shi), hand-burnishing with a teaspoon etc. 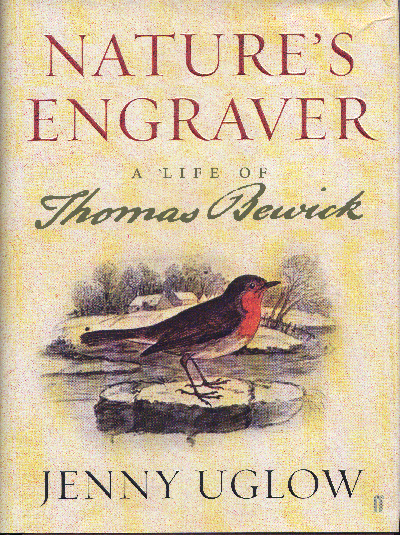 Enthused by the course, I am reading a biography of Thomas Bewick and went to Oxford to look at some wood engravings by Clare Leighton (1901-1989) and Gwen Raverat (1885 – 1957) in the Ashmolean Museum Print Room. 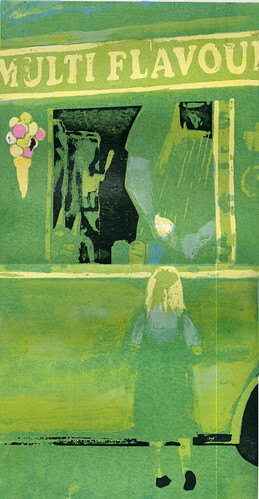 I did a course in screenprinting here with Annabel Ridley from 23-27 July 2007.